enlighten the mind and fire the imagination. Here you will find all three. This collection is born from a number of life experiences. Deeply personal these poems cover many of the important themes of life; Love and death, loneliness and connection, earthiness and transcendence. All with a sprinkling of humour. For the hunt is on. In our armed and tight embrace. And the barking is distant now. Only the dirt of our defeat. Down into the dark below. To that nameless ocean of beginnings. In the rightness of things. That a cold world is passing. To be clear-eyed at the centre of it all. It too may roar and howl, and melt in flows. As the age of grit and smoke passes before our eyes. And hearts will pull their fiery horses to the task. Across earth’s floor, and many new things besides. Is to witness Nature’s contractions at our birth. It is a privilege to be present and alive. Not worthy of your consideration. Or why animals shy away from you? You should find the descent quite refreshing. 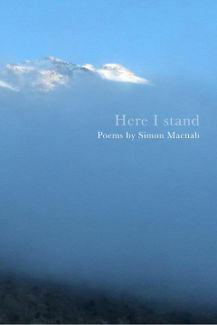 This dialogue between Simon Macnab and Jean-Marc Mantel, is an inquiry into the profound nature of the Self, free from cultural or religious distortion. Based upon many years of spiritual research and life experience, their conversation explores the major questions of existence from a fresh and original perspective, allowing the beauty of language and the depth of silence to emerge. The themes addressed integrate ancient wisdom with modern life, weaving together the challenges of ordinary living with the extraordinariness of Consciousness, the personal involvement of the ‘I’ with the serene detachment of the Self. Thus is revealed how, in every moment, we are invited to awaken to the radiant splendour hidden behind the world of form. Simon Macnab - What is oneness, and why is it such a rare and occasional experience? Jean-Marc Mantel - Oneness is not an experience. It is the background of all experience. It is in it that experience appears and disappears. The mind separates. From this separation conflict is born. The mind cannot solve a conflict it has itself created. Conflict dies at the same time as the thought that created it. SM - At a time when there is so much conflict in the world, it would be useful to better understand its function, as well as its place in the awakening process. JMM - A conflict concerns two opinions. But be aware that you are not an opinion. Do not take yourself for an opinion. As soon as you are no longer identified with your own opinion, you can express it without any other intention than the joy of expressing it, that is to say without desire to convince, persuade or dominate. It does not mean that you must give up your opinion, but simply not to identify with it. From this point of view, there is no more conflict. The conflict concerns the opinion, but not you. SM - Yes, the identification with the opinion is at the core of the dispute. Thus, when another negates the opinion, it can seem like the whole person is under attack, and so we see all the mechanisms of defence come into play. It seems that a person’s tendency to identify with opinions varies depending on their state of relaxation and ease, so perhaps this may be the way forward towards detachment? JMM - Exactly. The reaction is the sign that something in you is reactive. It is an opportunity to see clearly the attachments and the fear of losing. This reactive state depends in fact on your inner state. When you are tensed, all these mechanisms are stimulated. When you are relaxed, they are partially deactivated. But to be free from reaction means to be free from yourself, it means from all the ideas, beliefs and thoughts that you have about yourself. Within a silent mind, there is no “I” who chooses, prefers, acts and reacts. SM - I would like to return to something you said earlier. You spoke about events and situations arising from the intelligence of life. This begs the question of suffering. How is suffering intelligent? It seems to me that we can so often use the suffering that we see around us to justify a position that life is random, chaotic and meaningless. Could it be said that these attributes are in fact projections of the separated self? Perhaps it is not the world that has these attributes but the thinking mode of the thinker who experiences his thoughts as random and chaotic. Once a thinker begins to experience his own relaxation, his thinking abates and wholeness can be experienced. Then the intelligence of life becomes a known experience rather than merely a belief or statement of faith. JMM - Suffering is a reaction. It is not our natural condition. Each time you fall into deep sleep, that is dreamless sleep, you experience quietness, fullness and joy. You can feel it right at the moment you emerge from deep sleep, and you are still filled with the feelings of the non-thinking dimension. Then the mind wakes itself, starts to define you as someone, a body-mind, to localise the surroundings, and to separate the inside from the outside. The war starts here! The sense of separation induces a need to defend a territory called “myself”. Thoughts and acts prepare themselves like weapons before a fight. The attachments arise like a powerful symphony: “I want that, I don’t want that, I should do, I shouldn't do”. After that, the mind asks itself: “how can I be liberated from suffering?” But how can that which created suffering in the first place end suffering? It is the story of the cat who bites his tail. So if the mind cannot deconstruct what it constructs, what can we do? Who is the one who can do or not do something? Who asks the question? This inquiry pushes the mind towards its own limits. Through exhaustion, the mind can only surrender. It is the royal way of letting-go: letting go what you think you are, letting-go what you think you have, letting-go the one who tries to let go. When the fight stops, silence arises. The silence contains the question and its answer. It transcends both, because silence is free from the question and the questioner. In the absence of the questioner there is no more question and no more answer. SM - You say the silence is awakened. What awakens it? And how does a being know that he is one with the silence, as opposed to just being silent? JMM - To be more precise, it is not the silence that is awakened, but the awareness of silence. Silence is always here. It does not need to be awakened. The experience of silence is often taken for a void. This feeling comes because silence has been objectified, and has become something. But silence is not “something”. It is also not “nothing”. In giving up both the “something” and the “nothing”, silence simply is. Nobody can know what being one with silence is, but silence knows itself. It is a self-recognition. Being silent is a state. Silence is not a state. It has neither beginning nor end. It is timeless. It is you. SM - I remember an occasion when I had an experience that perhaps comes closest to what you are describing. A feeling, that was quite delicious, of deep, deep peace that felt very clean, and very silent, like the interior of a cathedral. This silence of being had nothing to do with whether there was noise or no noise, it was on a different dimension, yet permeated and underscored all that was going on, such as with thoughts and emotions. There was a sense of recognition, of “yes this is it” and yet it did not have any of the excitement of a peak experience. It felt very simple, and yet dense, and as I said, quite delicious. With this, nothing else was wanted or desired; any object just paled into insignificance. JMM - Yes, joy is when I am not. Such an unforgettable experience — reading your poems – profound, painful, joyful, privileged glimpses into your journey. I love it. The very architecture of your words seems to reflect and enhance the core of feeling and being. It is a masterpiece, and deserves to be widely available. I can't thank you enough for sharing your wonderful poetry with me, the best gift I've ever received. The poems are so moving I still haven't read them all, it takes me a few days to absorb the raw beauty of your words and stories, a truly wonderful experience reading them. I thoroughly recommend this book to everyone who acknowledges that the source of fulfillment lies within us. And I especially commend it for the new and necessary direction it provides for psychiatry and all mental therapies. I wanted to write and tell you just how good I thought your poems were... I found the poems about friendship and about your father the most moving, and the short ones (about stars and chickens among others!) the most fun. I would read them all again. Well done. I can only begin to imagine what it must have taken to write them all, and to the standard you have accomplished. 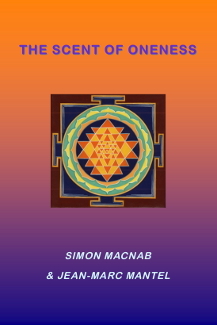 Thanks to the precision and relevance of Simon Macnab’s questions, and the lucidity and appropriateness of the answers, this book offers itself as a remarkable tool of understanding for the rediscovery of what is already present at the heart of “non-dual wisdom teachings”. It is a real working tool, “a spiritual dictionary” which allows one to reach self-knowledge. I'm really enjoying your poems, some of them are very moving, you're really very talented. I hope the book is a success, as it deserves to be. Simon Macnab was born in London in 1955, grew up in Paris, and was educated at Eton and Oxford. Prior to 1992, he pursued careers in international management, consulting and finance, but was always drawn to the creative life. Since 1992, Simon has studied psychology, metaphysics, philosophy, and creative writing. 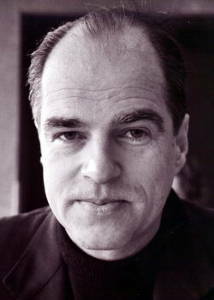 He is co-author with Dr Jean-Marc Mantel, of „The Scent of Oneness“, a dialogue on non-dualism in daily life. After extensive travelling, he now lives in London.